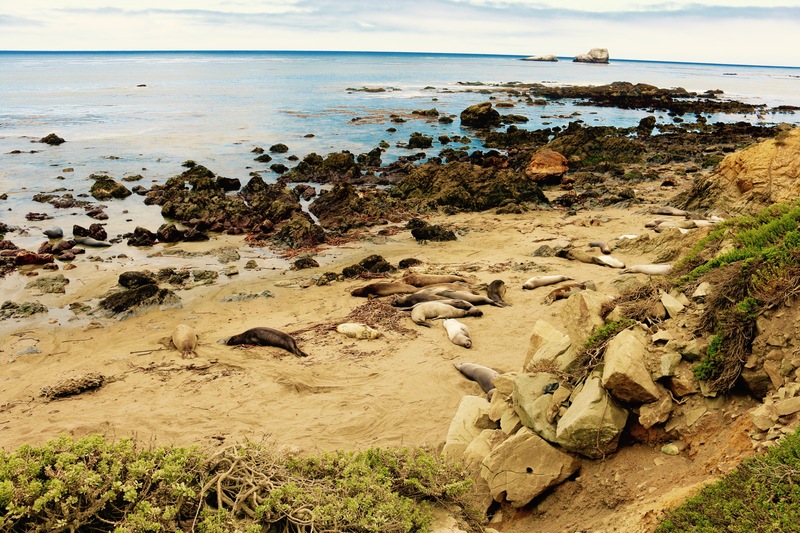 On our road trip to San Francisco, we also saw a land of elephant seals. 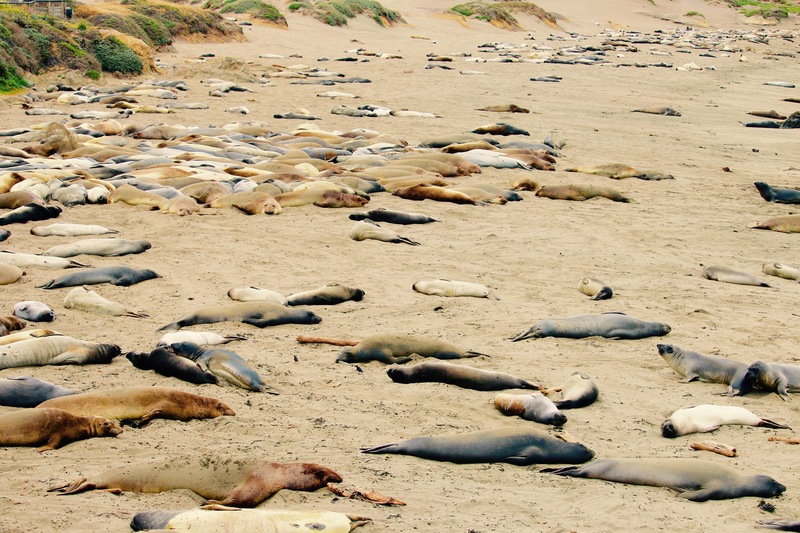 I was amazed at the number of seals that were laying on the shore. 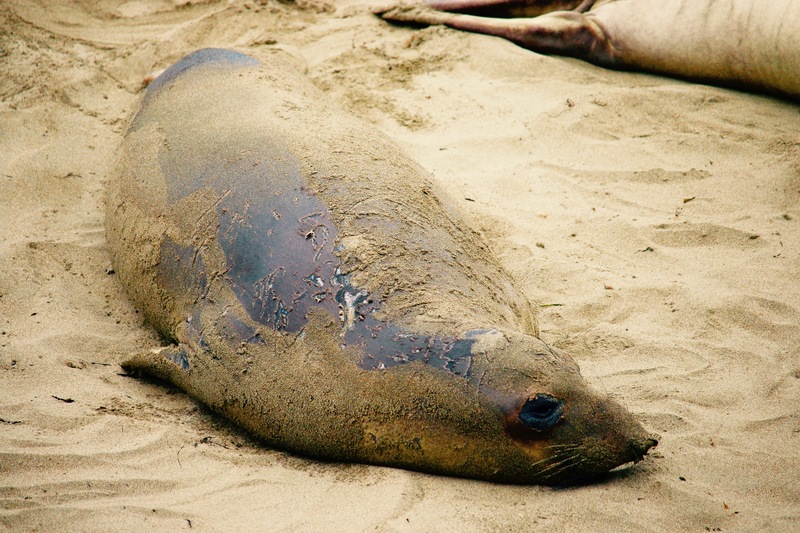 I thought seals were lazy animals because I always saw them lounging around in the sand, but I was very wrong. When I learned that they were very active animals that spent majority of their time in the sea, I had a new found respect for them. 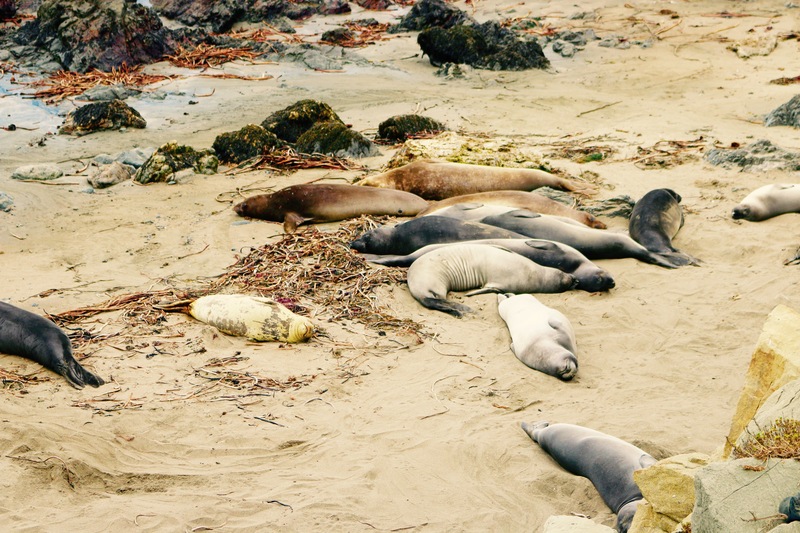 I could relate to these seals because people sometimes see teachers as having an easy life because we work from 8:00 to 3:00pm and have 3 months of summer vacation, but behind the scene, teachers work many more hours after school, during the weekend and summer. Enough about teachers and onto the actual pictures of these beautiful animals. 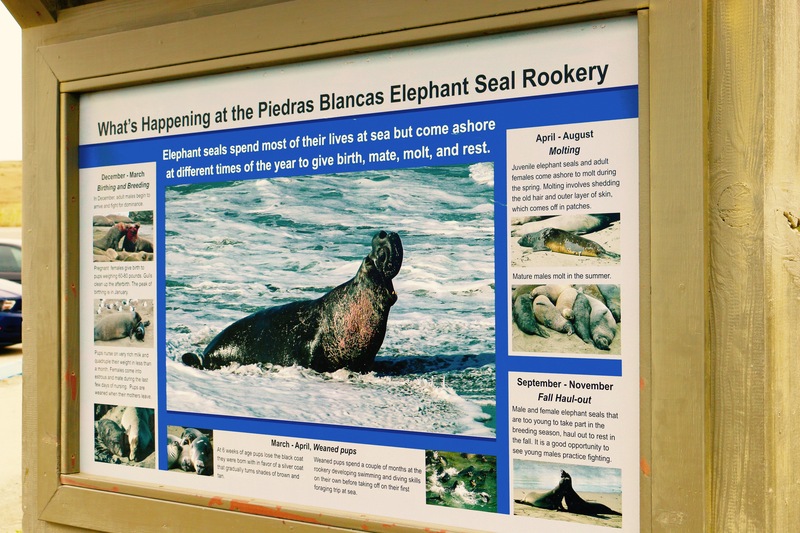 Here are the photos we took of the Piedras Blancas Elephant Seal Rookery. This location is in San Simeon, California. 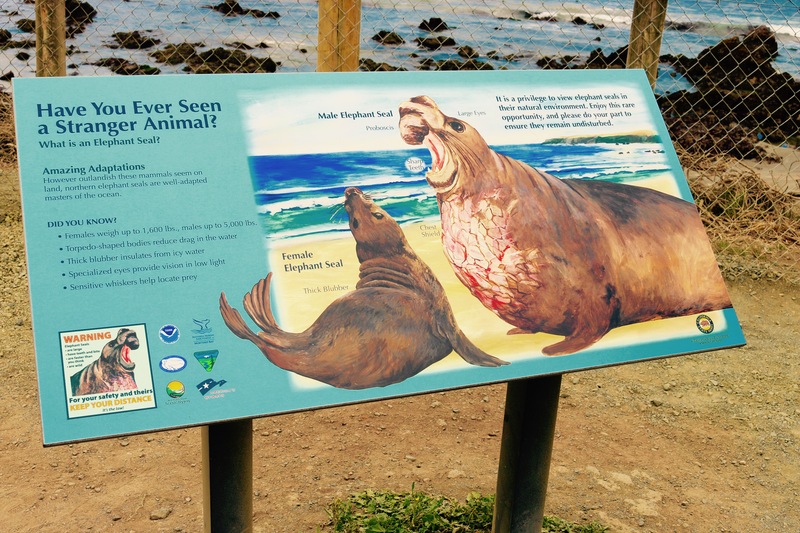 There were many signs with explanations about elephant seals. A volunteer stood outside next to a booth with more information about these amazing animals. 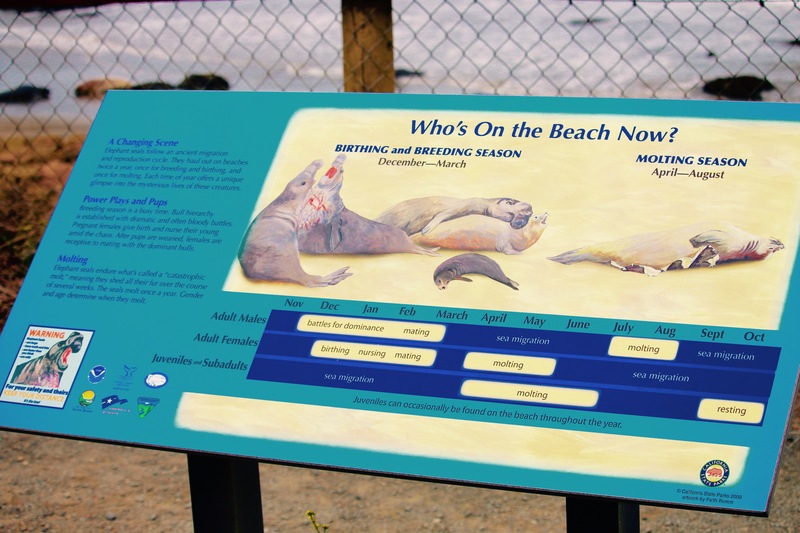 I was also told there was a museum close by where you can learn more about the elephant seals. When I saw the number of seals on the beach, I was shocked. When so many were laying together, it really looked like they were all dead because most of them rarely moved. This was the only time in the year where they could really rest because they were at sea for so many months. 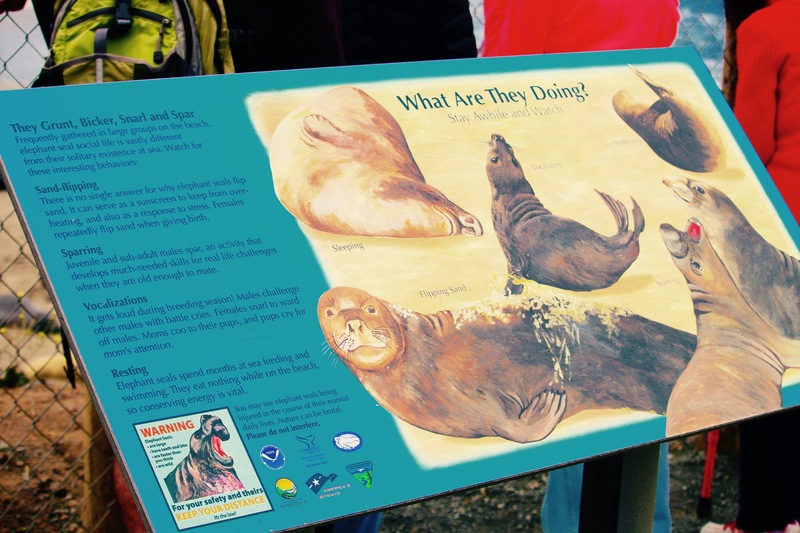 Here are more pictures of information we found on the elephant seals. 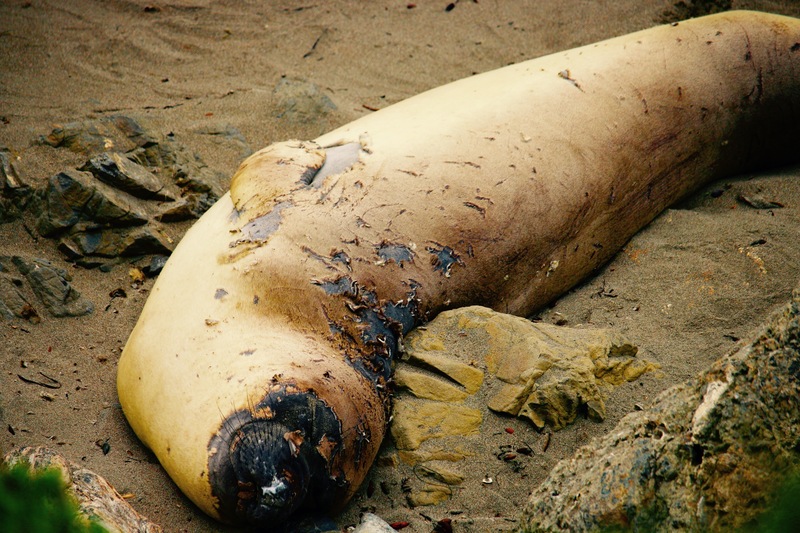 At the time we were seeing the animals, it was in May so many of the elephant seals were resting and their skins were molting. 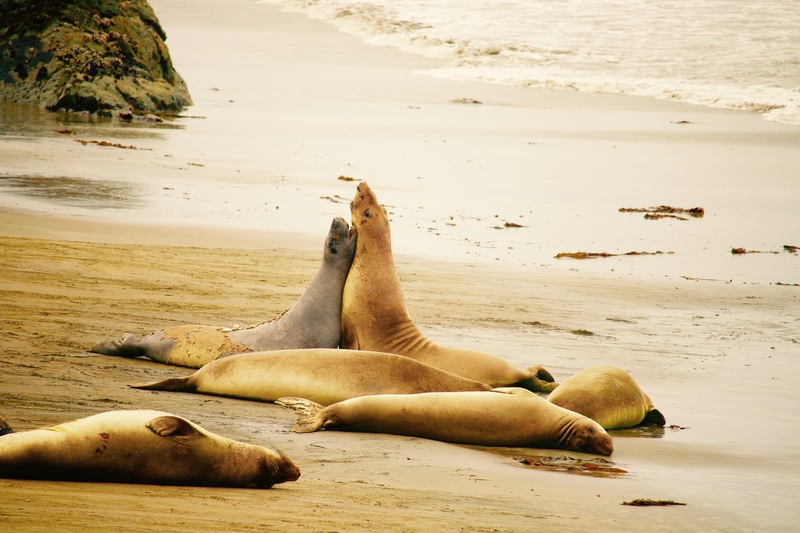 However, in the earlier months, we would have been able to witness the breeding and birthing process of the elephant seals. When I first saw the molting, I thought it was due to them fighting with each other. However, since most of the time is spent in the cold sea, their blood vessels become smaller, which does not allow them to shed old skin like humans which we shed every single day. Therefore, the several months they are on land, their body allows them to rest and shed all the old skin for them to grow new ones. I was surprised of how awful the smell was. I have volunteered at marine centers in the past where they were rehabilitating injured or blind seals so I knew they could be smelly, but this was at a whole new level. I could not even stand there and watch the beauty without holding my nose shut. All the skin shedding from hundreds of elephant seals can amount to a very smelly, fishy place, but still a wondrous place to observe them. 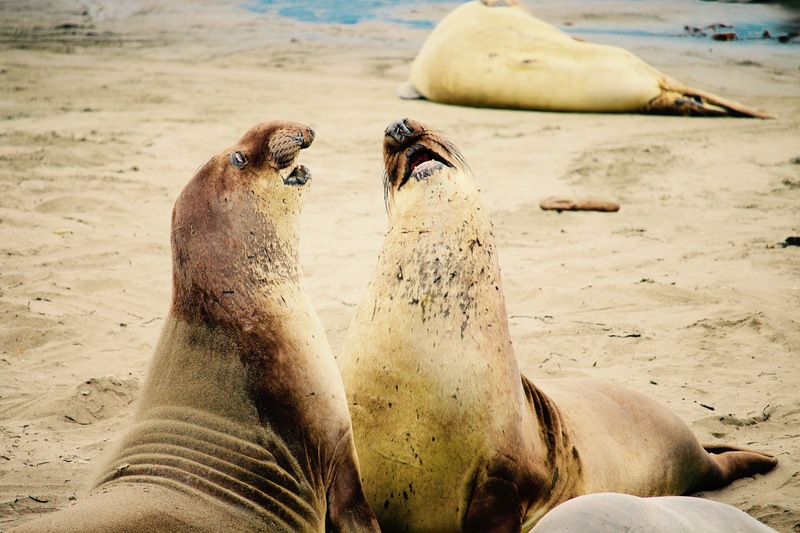 Occasionally, you could see the male elephant seals sparring with each other, but majority of the time, they were flipping sand and sleeping. When I read more about the history of how elephant seals were almost in extinction due to the demand for their oil-rich blubber, I was even more thankful that I was able to see and experience these magnificent animals in their real environment. Fortunately, we were able to find other ways to retrieve oil so their numbers shot right back up and currently there are over hundred of thousands of seals. They are truly a blessing and I hope we can continue to protect the earth and many animals like these elephant seals for our future. 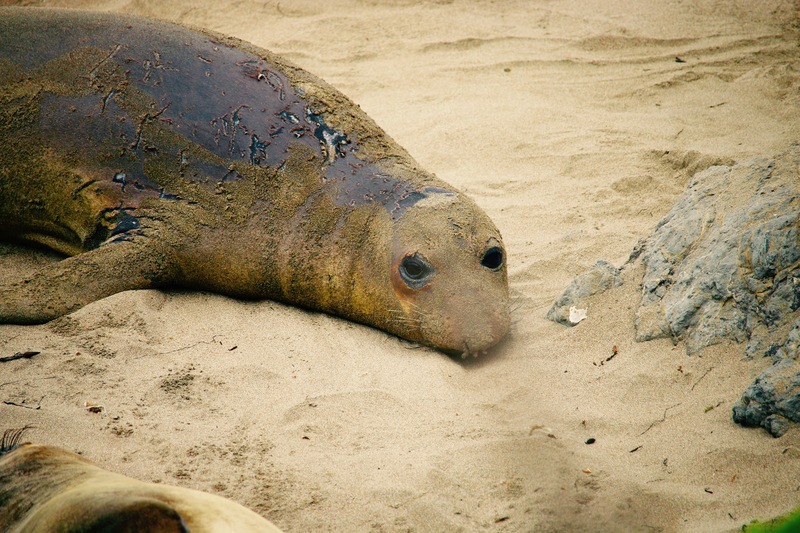 Watch the youtube clip we made of the amazing elephant seals here youtube elephant seals. This entry was posted in Travel and tagged elephant sea lions san simeon, elephant seal animal facts, elephant seal beach, elephant seal facts information, elephant seal photos, elephant seals, elephant seals facts, elephant seals on hwy 1, piedras blancas elephant seal rookery, piedras blancas elephant seal vista point, piedras blancas elephant seals, Piedras Blances Elephant Seal Rookery, san simeon elephant seals. Bookmark the permalink. 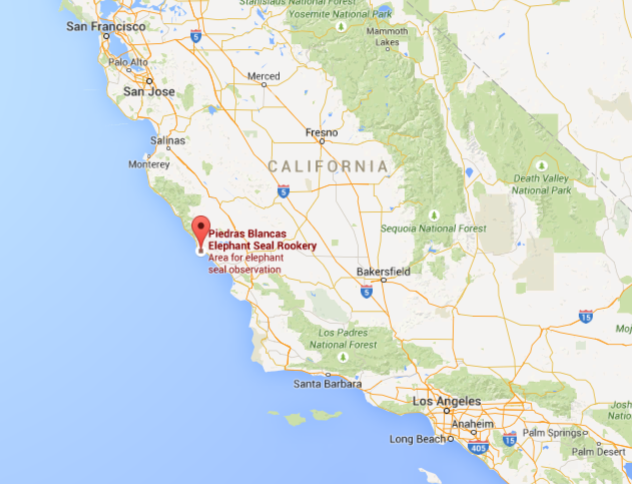 ← Why Would We Drive 10 Hours from Los Angeles to San Francisco?